Most people immediately think of a huge and bustling metropolis when a mention of New York is made. However, New York state is much more diverse and offers a surprising array of outdoor adventures and natural wonders. New York’s landscape widely varies from region to region with towering mountains to the north and a coastal to the southern part of the state. Such diversity makes New York State a haven for outdoor enthusiasts who flock to the Catskill Mountains in the winter to enjoy excellent downhill skiing, cross-country skiing and ski-jumping. In the warmer months, the Catskills are great for whitewater rafting, hiking and climbing. New York has plenty of waterfronts as well, with parts of the Great Lakes and the Atlantic Ocean within its borders. This beautiful farm in upstate New York hosts tours and events for all ages year-round. The farm also has a maze, a petting zoo and rides. No trip to New York would be complete without a visit to this amazing natural wonder. Tours are available by boat as well as on foot by way of the Hurricane Deck and Cave of the Winds. This outdoor theatrical production brings the stories of the Bible to life with state-of-the-art special effects and top-notch performers on a 10-level stage. New York City Cathedrals- New York City is home to a large number of beautiful and historic places of worship such as St. Paul’s, Trinity, St, Patrick’s and the Cathedral Church of St. John the Divine. There is also an endless list of monuments and memorials to visit if you venture into the city. New York State is full of exciting wilderness adventures as well as big-city excitement. 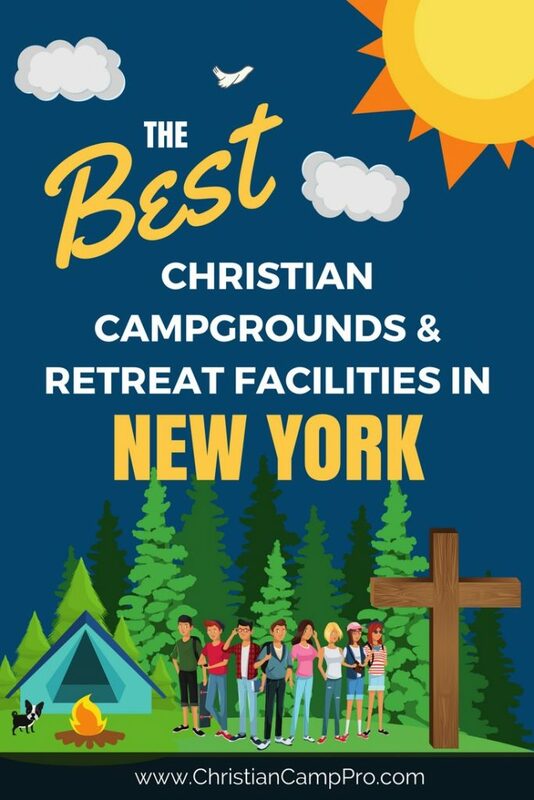 It is a perfect place for a youth camp or adult retreat. From the rugged mountains to the coast of the Atlantic and the New York City skyline, there is a thrilling adventure waiting for everyone. Word of Life Youth and Family Camps believe in building stronger families, and strive to provide opportunities for families to grow together and individually. Many of our guests comment that Word of Life is a special place unlike any other, and they come back year after year for a refreshing vacation and renewal in their walk with the Lord. Every year new families and youth groups experience Word of Life for the first time and discover a place of physical and spiritual refreshment! The combination of relevant programs, numerous activities, efficient counselors and solid Bible teachers create a life-changing experience for the young and the young at heart. Learn more at camps.wol.org.